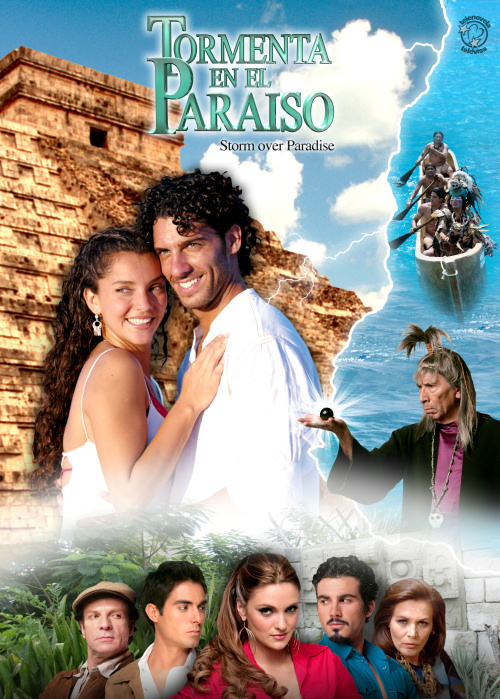 TELENOVELAS swept through Ghana in the early 2000’s with the introduction of Esmeralda, a telenovela released by Televisa in 1997. It was aired on TV3, then owned by the Malaysians. It was a new TV station at the time and viewers caught the bud and relished the viewing experience. As many got glued to their TV sets, they fell in love with the telenovela and thus helped in making Esmeralda, one of the most famous telenovelas in Ghana. Other TV stations were soon to follow, including GTV, the Station of the Nation. Prior to the introduction of Esmeralda, viewers had a taste of a Mexican soap opera dubbed “Acapulco Bay.” It received a resounding applause from the audience and there were reports that some houses were razed down by fire as a result of the soap opera, since it was aired during one of Ghana’s “dum sor, dum sor” days. For those who may not know what a telenovela is, here is a little education to help: It is a limited-run serial dramatic programming quite distinct from soap operas, for telenovelas come to an end after a long run (generally less than one year). Telenovelas, which are sometimes called “tassels” or “comedias,” are produced primarily in Spanish- and Portuguese-speaking countries and are usually shown during prime time. The medium has been used repeatedly to transmit socio-cultural messages by incorporating them into storylines. They are also popular in the Philippines and North America. Soap operas are usually referred to as such because they are serial dramas on television or radio featuring multiple related story lines dealing with the lives of multiple characters. Some soap operas have been known to run for decades. Esmeralda told the story of a poor blind girl who fell in love with a rich handsome guy. Her vulnerability and, of course, the rich family’s objection to the marriage kept viewers glued to their seats. Then came ‘Pangako sa yo’ (Promise to You), ‘La mujer de mi vida’ (The Woman of My Life), ‘Valentina,’ ‘Las dos caras de Anna’ (The Two Faces of Anna), ‘La Revancha’ (The Revenge), ‘Cuando seas mea’ (When You Are Mine), ‘Juana La Virgen’ (Joana the Virgin). Shortly thereafter, we had ‘Rosalinda,’ ‘Rebecca,’ ‘En nombre del amar’ (In the Name of Love), ‘Passion de gavilantes’ (Passion of Hawks), ‘La hija de jardinero’ (The Gardener’s Daughter),’ Mi pecado’ (My Sin), ‘Teresa’ (Theresa), ‘Tormenta en el paraiso’ (Storm in the Paradise), ‘Mar de amor’ (Curse by the Sea), ‘El cuerpo del deseo’ (Second Chance). Quite recently, all TV stations have been flooded with the likes of ‘El clon’ (The Clone), ‘Un refugio para el amor’ (A Shelter for Love), ‘Triunfo del amor’ (Love Triumph), ‘Lola Calamidades’ (Lola Calamities), ‘En nombre del Amor’ (In the Name of Love), ‘La tormenta’ (The Torment), ‘Corazon Salvaje’ (Wild Heart), ‘La que no podia amar’ (The One Who Could Not Love). Now we have ‘Una Maid en Manhatta’ (Maid in Manhattan), ‘Collar De Esmeraldas’ (Emerald Necklace), ‘Corazon Indomable’ (Wild at Heart), and many more in the offing. Like many other girls, I was enthused and obsessed with telenovelas. I never missed a single episode. I remember halting my studies for exams the next day in order to watch my favourite telenovela “Second Chance.” My passion for telenovelas was so intense that I could navigate from station to station to watch each and every telenovela. Surprisingly, I had each story line in mind and to a large extent, Youtube became my friend as I always either read the story line or watched via the internet. No wonder guys always say all girls love telenovelas. It is worthy of note that the elderly (teachers, parents, traders), virtually all age groups have joined the bandwagon. Believe it or not, some men cannot do without telenovelas. Now looking back, I keep asking myself, What benefits have I derived from watching telenovelas? Aside from getting entertained, intrigued and being kept in suspense to envisage what was going to happen next, I honestly feel I have wasted precious hours. Admittedly, the plots got most people glued to their seats, but let’s face it; telenovelas generally end in the same way, a white wedding or simply acceptance. My honest opinion is that if the TV stations do not have anything to show, they should bring back old shows like ‘Taxi Driver,’ ‘Inspector Bediako,’ Thursday Theatre, ‘By the Fireside,’ ‘Children’s Own’ and all the truly wholesome entertaining stuff that mesmerized us and moulded our childhood right through adolescence. Finally, to the many TV stations and those yet to spring up, kindly direct your attention more to local content and put a stop to the multitudinous telenovelas. Some of us are just tired of them. We now yearn for wholesome, local entertainment. Tags:telenovelas, What is special about telenovelas? What is special about telenovelas? 0 out of 5 based on 0 ratings. 0 user reviews.